U.S. powerbrokers have put the country at risk of another financial crisis to intensify their economic war on Moscow and to move ahead with their plan to “pivot to Asia”. The US must achieve its objectives in Central Asia or forfeit its top-spot as the world’s only superpower. This is why US policymakers have embarked on such a risky venture. There’s simply no other way to sustain the status quo which allows the US to impose its own coercive dollar system on the world, a system in which the US exchanges paper currency produced-at-will by the Central Bank for valuable raw materials, manufactured products and hard labor. Washington is prepared to defend this extortionist petrodollar recycling system to the end, even if it means nuclear war. When energy companies lose access to the market and are unable to borrow at low rates, it’s only a matter of time before they trundle off to extinction. 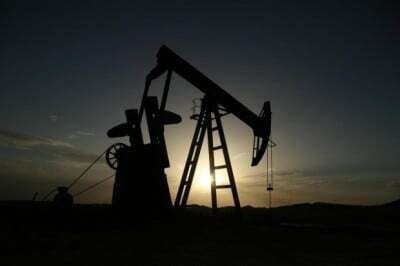 On Friday, the International Energy Agency (IEA) renewed pressure on prices by lowering its estimate for global demand for oil in 2015. The announcement immediately sent stocks into a nosedive. The Dow Jones Industrial Average (DJIA) lost 315 points by the end of the day, while, according to Bloomberg, more than “$1 trillion was erased from the value of global equities in the week”. The world is awash in cheap petroleum which is wreaking havoc on domestic shale producers that need prices of roughly $70 per barrel to break-even. With West Texas Intermediate (WTI) presently headed south of 60 bucks–and no bottom in sight–these smaller producers are sure to get clobbered. Pension funds, private equity, banks, and other investors who gambled on these dodgy energy-related junk bonds are going to get their heads handed to them in the months ahead. The Fed’s role in this debacle couldn’t be clearer. Investors piled into these dodgy debt-instruments because they thought Bernanke had their back and would intervene at the first sign of trouble. Now that the bubble has burst and the losses are piling up, the Fed is nowhere to be seen. In the last week, falling oil prices have started to impact the credit markets where investors are ditching debt on anything that looks at all shaky. The signs of contagion are already apparent and likely to get worse. Investors fear that if they don’t hit the “sell” button now, they won’t be able to find a buyer later. In other words, liquidity is drying up fast which is accelerating the rate of decline. Naturally, this has affected US Treasuries which are still seen as “risk free”. As investors increasingly load up on USTs, long-term yields have been pounded into the ground like a tentpeg. As of Friday, the benchmark 10-year Treasury checked in at a miniscule 2.08 percent, the kind of reading one would expect in the middle of a Depression. The Saudi-led insurgency has reversed the direction of the market, put global stocks into a nosedive and triggered a panic in the credit markets. And while the financial system edges closer to a full-blown crisis every day, policymakers in Washington have remained resolutely silent on the issue, never uttering as much as a peep of protest for a Saudi policy that can only be described as a deliberate act of financial terrorism. Why is that? Why have Obama and Co. kept their mouths shut while oil prices have plunged, domestic industries have been demolished, and stocks have gone off a cliff? Could it be that they’re actually in cahoots with the Saudis and that it’s all a big game designed to annihilate enemies of the glorious New World Order?